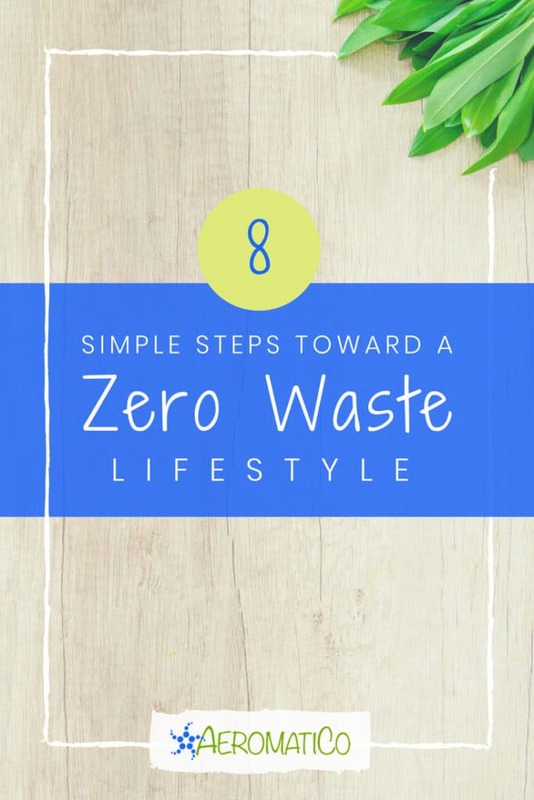 Posts and videos from well-known Zero Waste bloggers always inspire awe. How someone can gather the totality of their trash for a year in a regular size mason jar seems impossible. Especially when I generate more trash in a single four child carpool pick-up with last minute snacks purchased at the corner market. Rather than be frustrated and throw in the towel, I am practicing patience and persistence. 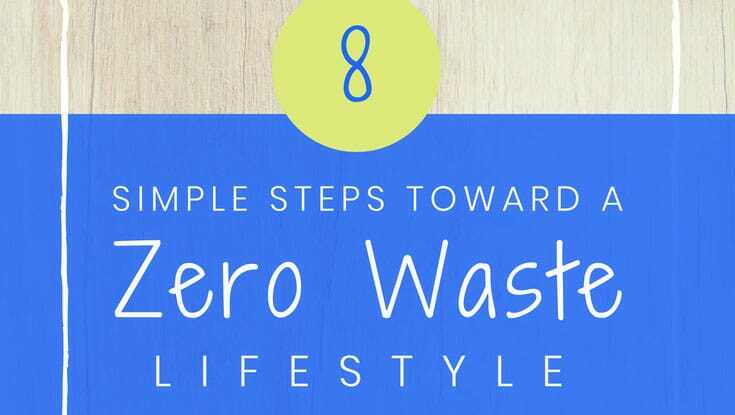 My family and I may not be Zero Waste, but we are taking significant steps toward a more environmentally conscious lifestyle. Depending on where you are, an easy first step is to recycle. Experts recommend doing a trash inventory. Yes, it sounds odd. Who wants to sift thru their garbage? But, doing so can help you gain a better understanding of the types of household garbage you are generating. You should be able to obtain a list of what is accepted at your local recycling center. Armed with the appropriate information you can make a determination of what can be recycled. This exercise can also help you to rethink purchases that come in non-recyclable packaging rather than in sustainable solutions such as glass. Help curb the use of plastics and refuse the straw when ordering beverages. Do you really need a straw to sip that lemonade? 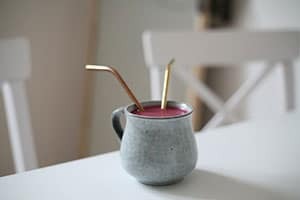 Some establishments are catching on to the trend by stocking reusable straws. Alternatively, you can purchase a bamboo or stainless steel straw that you can reuse. Just keep it in your bag or backpack to elevate your drinking experience. When it comes to paper straws, these may be compostable, but the real question is how does the restaurant or bar handle their waste? I find it is better to go without or bring your own. Another way to reduce single-use plastics and or aluminum cans is to avoid purchasing individual sized juices, sodas, and other drinks. Get yourself a glass or stainless steel water bottle to keep with you at all times. Water is easy to refill, better for your health, easier on your wallet, and can make a big difference in the amount of waste that you generate. So many of us rely on coffee to get us going in the morning. Stopping by the local coffee shop for your cup of joe may be part of your daily routine. 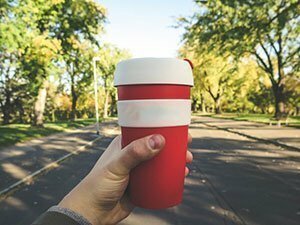 But, did you know that most disposable coffee cups are lined with a very thin film of plastic? This makes them difficult to recycle or to compost. Bring your own insulated coffee mug. Many shop owners will recognize the savings and pass it along to you in the form of a small discount. Another great way to cut down on your personal consumption of single use products is to refuse the disposable to-go box. Remember to always keep a set of food storage containers with you. If you are out at a restaurant and you want to take some home, using your own containers saves the energy and resources that go into creating that carry out box. Likewise, if you order take out, inquire whether the establishment will package the items in your own containers. 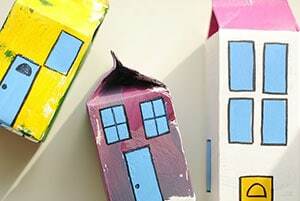 If you have kids, a great way to entertain them over summer break is with craft time. Check out Pinterest for ideas on how to repurpose those milk cartons, metal cans, shoe boxes, and countless other items that might otherwise be headed to the dump or recycle center. The American Dental Association recommends that you change your toothbrush every 3-4 months. Earlier, if your bristles are frayed. This adds up to one billion plastic toothbrushes thrown away every year in the United States, creating 50 million pounds of waste annually. Worse, it takes approximately 1,000 years for plastic to decompose. Switching to bamboo toothbrushes is a great solution. While you have to check the labels to ensure the bristles are also made of compostable material, the bamboo handles will decay in your compost pile or bin. Click here to order the Satori Bamboo Toothbrush. 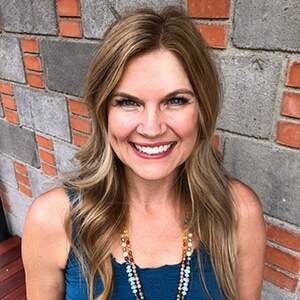 My friend and yoga teacher, Heidi Michelle, has done the research and offers a product that you can trust. 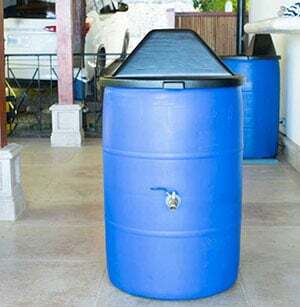 And finally, composting organic waste not only reduces leaky, smelly garbage bags, but it provides a significant reduction in greenhouse gas emissions. Organic matter such as food scraps account for anywhere between 25-50% of all landfill waste. Because of the lack of oxygen, it undergoes anaerobic decomposition generating methane. Methane is nearly 25 times more potent than carbon dioxide. Composting or allowing the waste to rot aerobically eliminates the landfill gas that otherwise would have been released into the atmosphere. If you want additional help on easy ways to compost, check out What is composting and Why should I compost my food waste? 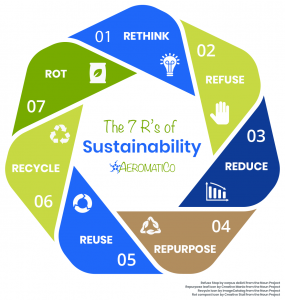 Or read about AeromatiCo and check out the Composting Methods Comparison Chart. Previous PostWhat is Composting and Why Should I Compost My Food Waste?